8 mm x 5 mm Capped Aurora Borealis Tear Drop bead Rosary with silver oxidized center & crucifix. 12-pc. 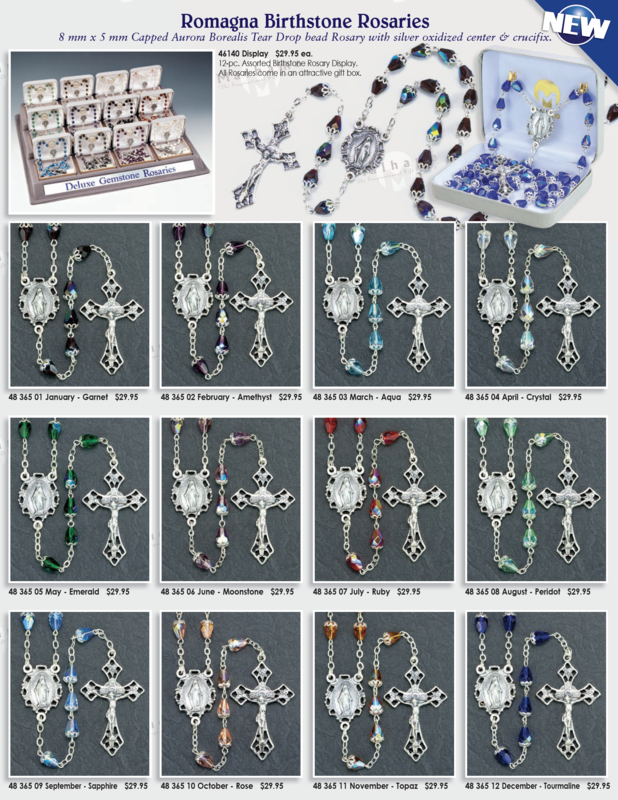 Assorted Birthstone Rosary Display. All Rosaries come in an attractive gift box.